Not a myth: Chefs tables really do exist. There are only a handful in all of New Jersey but bigger cities such as New York, Chicago and Los Angeles seem to be teeming with them. Monmouth County has two restaurants with specifically designated tables open to or inside the kitchen and a few quasi chefs tables in the form of cooking schools. Chefs table at Zoe in Little Silver, NJ. A documentary series on Netflix delves into the lives and careers of half a dozen famous chefs. It’s interesting and entertaining, but not essentially about actual chefs tables. 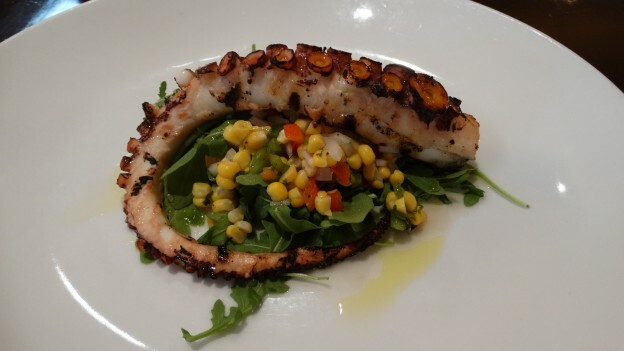 The Red Bank area boasts two such atypical dining options, one can be found at Zoe in Little Silver and the other at Nicholas in Red Bank. There is a third option in Fair Haven where you can enjoy a meal while getting to know a chef better. Taste and Technique Cooking Studio has hosted many local celebrity chefs often managing to teach a trick or two while impressing a small crowd. 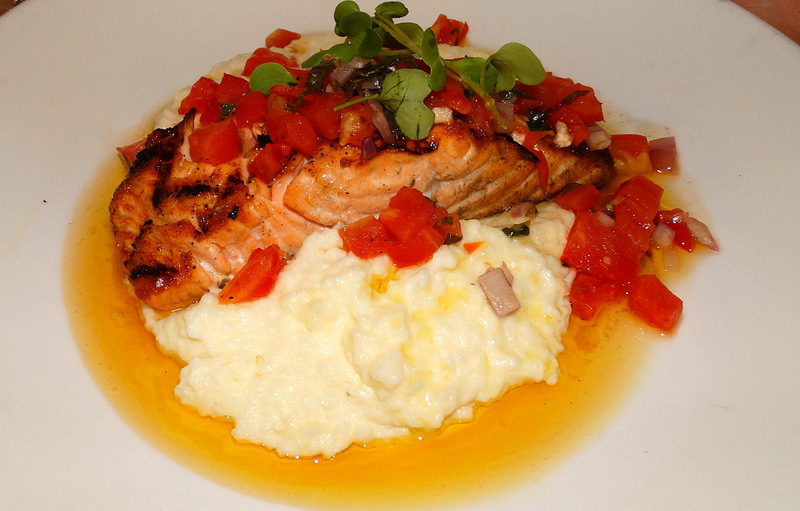 Salmon served over cheddar grits from Zoe in Little Silver. Those who eat to live probably won’t appreciate the idea of eating a gourmet meal while getting to know the chef in a more intimate setting. But those who live to eat, who collect recipes and equate most of their life experiences to the meal consumed in the moment, who memorialize their lives bite by delectably important bite … these are the people who wind up paying the big bucks to sit at a chefs table. 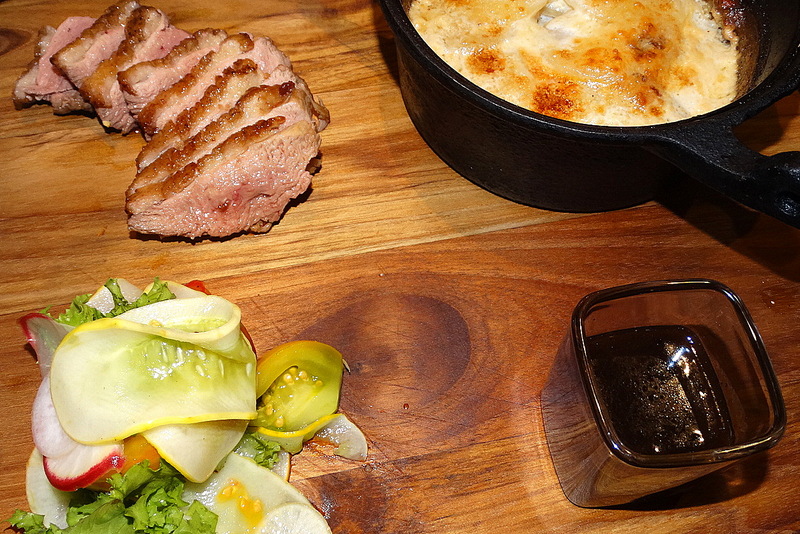 Smoked habanero salt encrusted duck breast platter with potatoes au gratin and pickled vegetables from Zoe in Little Silver. So let me break it down for you. 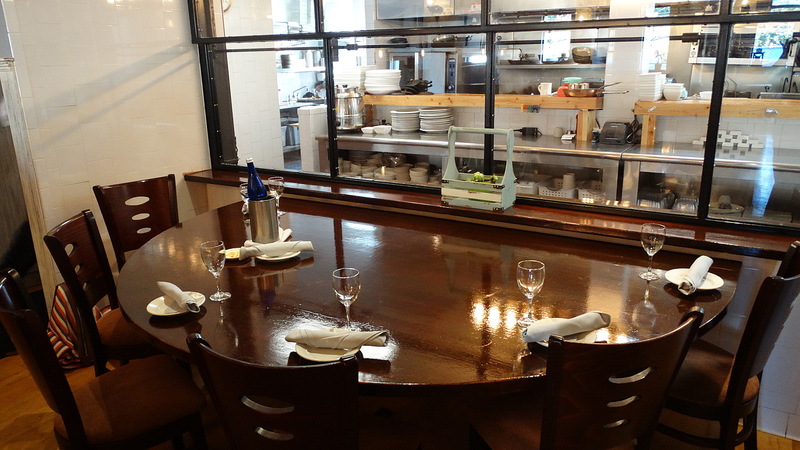 A coveted reservation at the chefs table at Nicholas will run you $150.00 per person. Tax, gratuity and booze not withstanding. Pricey? Yes, but the bragging rights might make it worth the money. 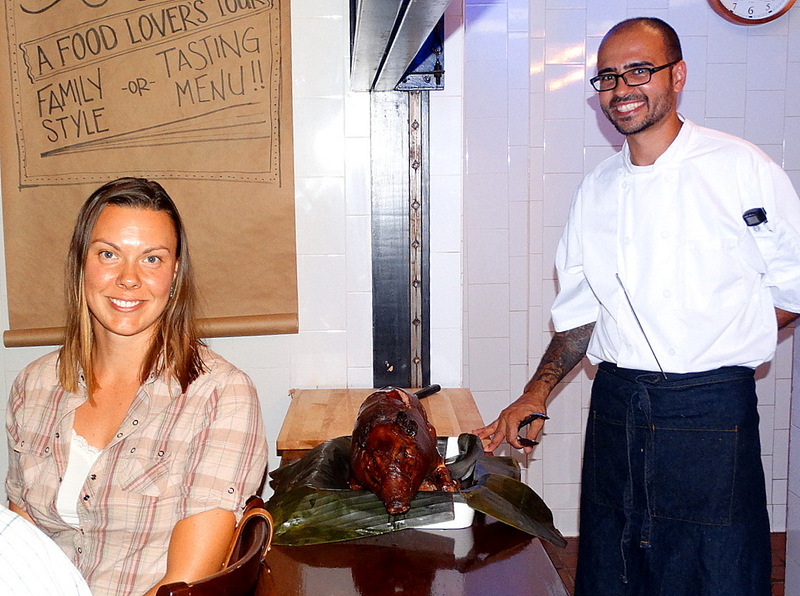 Laercio Chamon, known to most as Junior, is owner and new executive chef at Zoe. He’s just getting his feet wet with organizing his chefs table. A few months into owning the place, he is changing things to meet his own desires and expectations which include locally sourced produce and meats. He tells me that he is willing to work with customers to accommodate a chefs table experience based on specific desires. 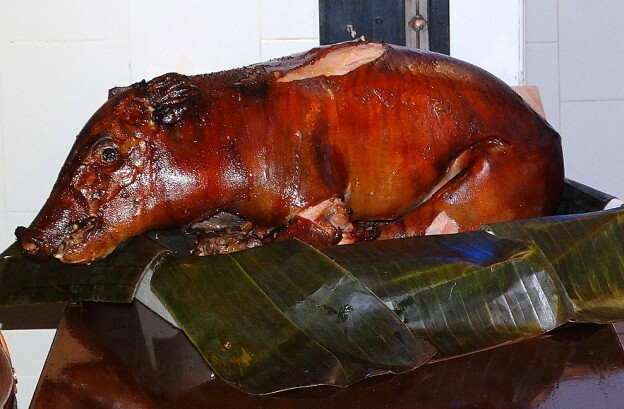 Currently offering a chefs table meal of pasture raised suckling pig with all the accoutrements, the meal will set you back about $80.00 per person. Tax and gratuity again add to the price, however, this is a BYOB restaurant which gives you the option of pricing your wine and beer high or low. Chefs Lauren Phillips and Claudette Herring, owners of Via 45 in Red Bank demonstrate to about a dozen at Taste and Technique in Fair Haven. 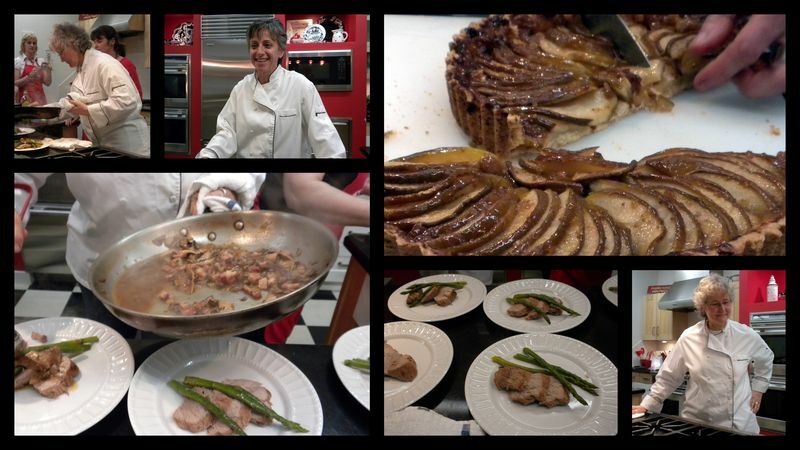 Taste and Technique Cooking Studio offer chef demonstrations that run about $75.00 per person. You will observe the preparation of a complete meal. Usually three or four courses. It is also a BYOB. Although the chef in this case doesn’t have the benefit of home court, every chef I’ve observed in this venue has not only taught me a thing or two, but has thrown together an awe inspiring meal. 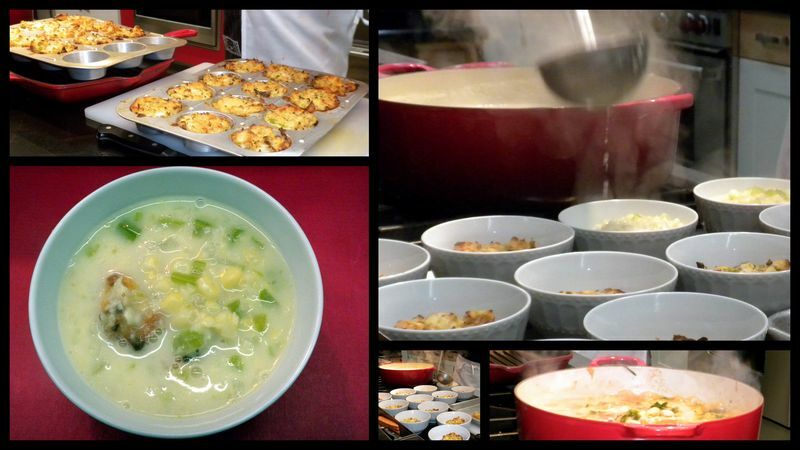 A bowl of corn chowder embellished with whole lumpmeat crab cake was a memorable highlight at Taste and Technique prepared by a much missed chef, Joe Romanowski. The take-away is an unforgettable experience as opposed to just another dinner out. 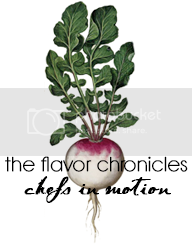 Getting to know how the chef thinks and operates, the possibility of making a connection and being fed an outstanding meal. Life is all about the experiences that we stack up. A meal at a chefs table might just be every foodies dream-come-true. It is a step above the ordinary and worth every extra penny you spend. Book a reservation soon and let me know what you think. This entry was posted in Appetizers, Bakers, Celebration, Celebrities, chefs, cooking class, desserts, Dinner, Dinner Salad, Events, Farmers Markets, Jersey Shore, Kitchen magic, NJ, Pescatarian, Private Chef, Red Bank, Restaurant, Romantic Meals, Salad, Vegan, Vegetarian, Wine and tagged Bay Street Trattoria, Dinner Theater, Fair Haven, Junior, Little Silver, Nicholas, NJ, Red Bank, Suckling Pig, Taste and Technique, Via 45, Zoe on August 21, 2015 by admin.